Before the vote, Senate Majority leader Mitch McConnell said the bill "confirms our promise to maintain Israel's security , to help Jordan experience complex security challenges and to hold Bashar Assad's murderous minions responsible. " 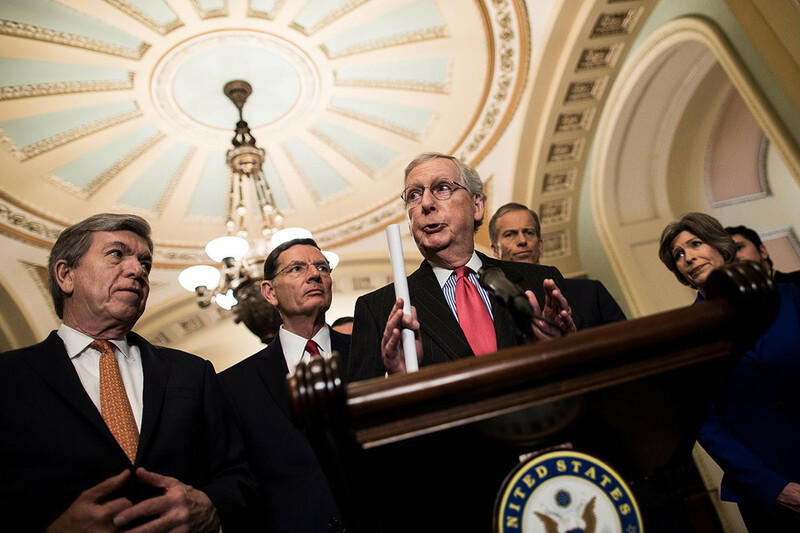 On Monday, the Senate adopted an amendment by McConnell warning against the "fake" withdrawal of US troops from Syria and Afghanistan – an accusation against Trump, who announced in December that he would withdraw US troops from Syria. Trump's movement led to a bipartic setback from lawmakers as well as his own national security team, who declined the president to withdraw troops from the two countries. The change shared Democrats, where 22 opposed it. The final passage of the Middle East policy package comes after the Democrats have blocked previous attempts to move forward because of the government interruption. Democrats agree on the bill's Syria sanctions and support for Israel and Jordan, but are divided into the Boycott, Divest and Sanctions movement, also known as BDS. The vote on the bill also provided a window on how Senate Democrats running or mulling a presidential run in 2020 would approach foreign policy.